Canvas is made of heavy duty 12 oz. material. Colors: Tote body canvas is natural color. Straps, side pocket trim and bottom are Royal Blue canvas material. Artwork is imprinted in Royal Blue color. 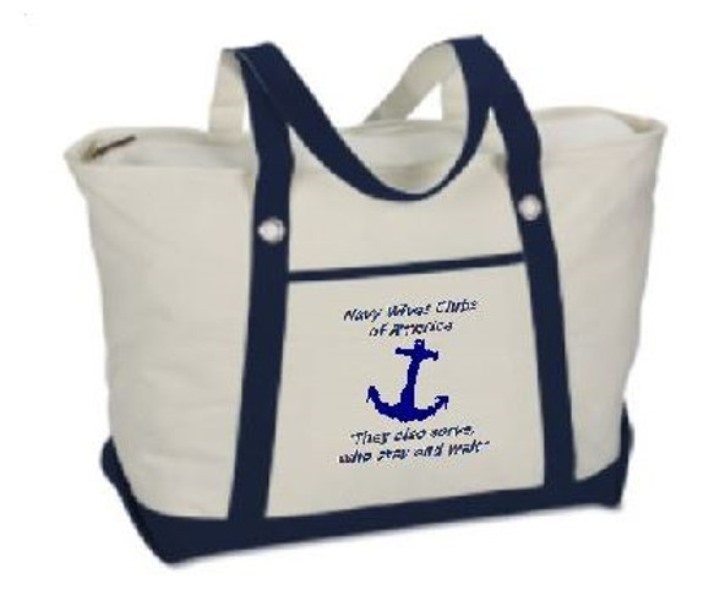 Size: 14" H x 23" W x 7" D. Straps are reinforced to the bag with metal eyelets on each side. The side pocket is large and measures: 8" W x 8" H.